I had high hopes for The Wolverine for many reasons. One, it’s a chance for powers-at-be to put an X-men character into the top of the superheroes list. Two, its director is James Mangold who directed acclaimed films like 3:10 to Yuma and Girl, Interrupted. Three, a big part of Wolverine’s history was promised to be revealed as Japan was chosen to be the setting. However, after watching the movie for two hours, I got disappointed. It was not the Wolverine movie that I was hoping for. The action was mediocre at best. 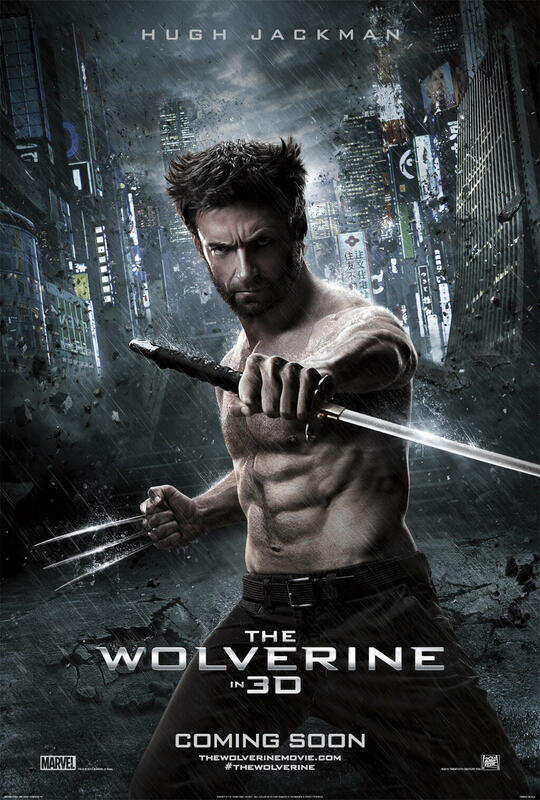 Compared to those of the superhero movies of recent years, the action sequences in The Wolverine fail in comparison. I couldn’t remember an action scene that really made a mark except for the one filmed atop Japan’s bullet train. However, even that did not impress. It might be true that the writers, producers and the director of the movie wanted to focus more on Wolverine’s story that’s why the audience has been bombarded with his history that’s not too familiar especially to those non-X-Men fans. But, they could have rewarded us with great action scenes because that’s what we deserved for buying a ticket and spending two hours of our lives watching it on the silver screen. The pacing was a tad. One crucial factor for superhero movies to be good is great pacing. Actually, not just in superhero movies; a crucial factor for movies to be good is great editing. This movie certainly lacked that, as its two-hour content could have been fitted into 1 ½ hour without affecting the major plot. Visual effects were so simple you won’t believe The Wolverine was a superhero movie. Fight scenes between Wolverine and Silver Samurai or even Viper could have been epic. Ninjas and samurais could have been given more class in their action scenes. Even the beauty of Japan wasn’t used that much in the movie because it seemed like the characters were indoors most of the time. Best aspect of the movie is none other than Hugh Jackman. He could have just perfected the art of acting as Logan (aka Wolverine) in which no other actor could replace him as the brave, wild and this time vulnerable X-Men character. His versatility has shown how a seemingly immortal and invulnerable character could be a fragile and weak one. He, along with some of the supporting cast, gave life to this movie that could have just passed on as flat and uninspired. Meanwhile, the musical score was also great. It complimented, if not surpassed, the scenes it was tasked to support. I was serious when I said that the best part of The Wolverine was the end credits teaser for the next X-Men movie. (Actually, this was first said to me by a good friend. I just had to repeat it because he was right.) The audience in the theater where I watched suddenly became alive after watching it. It’s too bad we had to wait for two hours before feeling thrilled and energized. It’s ironic the feeling only happened after the screening of the movie we were supposed to enjoy. Despicable Me 2, the sequel to the 2010 movie that featured Gru, a super villain who turned into a hero, remains to be a feel-good movie for the whole family. One is sure to smile, laugh and even sigh with happiness while watching. However, it lacks the heart of the original that endeared viewers young and old alike. The team behind the sequel opted to put more screen time for jokes, gags and the minions. 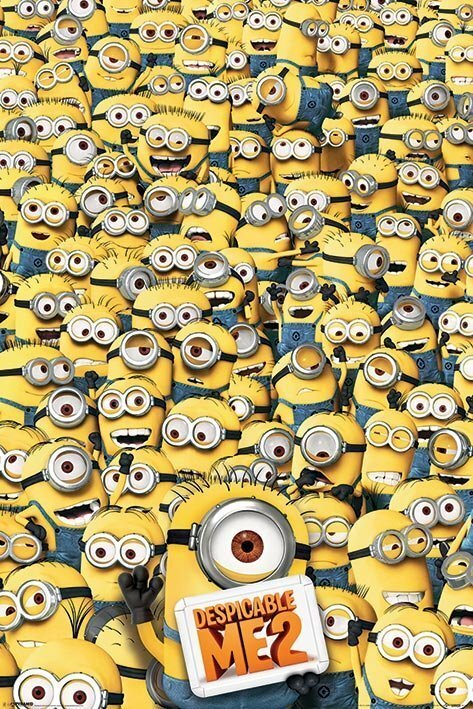 Yes, the minions- those adorable yellow, little creatures that serve as Gru’s henchmen! This would have been a great idea if the story of the sequel has been given more depth. The subplots were pretty nice, actually. Gru’s little girls were growing up fast, and their concerns about love (or maybe just infatuation) and the need for a mom were already showing up. Meanwhile, a former super villain was staging a comeback by planning to rule the world by controlling Gru’s minions. Gru’s quest for a love life turned interesting when he met Lucy, an anti-villain league agent whom Gru was paired up with to search for the aforementioned super villain. All these subplots could have been given more life and color. Instead, what I saw was a little bit of this and a little bit of that subplot all throughout the film, making me feel truly unsatisfied. The minions were definitely entertaining. But I won’t give them credit for making the movie better because they were actually the reason why the movie failed to really take off. Their presence certainly gave a happy mood, but it took away too much focus on the core of the main story. If the producers blatantly did this as an early promo for the upcoming minions movie, then boo to them. I won’t forget to mention the good in this movie: the bright and colorful images that make up most of Despicable Me 2’s awesome visuals, energetically flipping songs and musical score that kept the movie alive and the voice actors (i.e. Steve Carell as Gru, Kristin Wiig as Lucy and Benjamin Bratt as the super villain) who did exceptionally well to present their characters in the movie. Let’s hope the upcoming Minions movie retain all this goodness with a great story to back it up.